There is no official LG 34UC88/34UC98 thread so I decided to create one since those great monitors deserve it. Also they are very similar and only significant differences are in connections (UC98 features 2x Thuderbolt) and design (UC88 is all black while UC98 features silver stand and white back). There is also 34UM88 that is flat version. I will post some basic information, sum up reviews and reports I have read/heard and share my personal experience since I own 34UC98 for over a month now. My personal experience with this aggressive curve is very good. I had 3800R curved Dell U3415W for some time before I returned it because of backlight bleed and coil whine, so I was already used to curve, but 1900R curve is much more aggressive and it was very visible for me at the beginning and there was "strait lines problem" that a lot of people complain about with curved screens. But now after few weeks I am perfectly used to it and I no longer see it that much, I am even starting to think that it would be nice if it was even more curved. My personal experience with backlight bleed on 34UC98 is similar to the pictures posted for UC88/98. 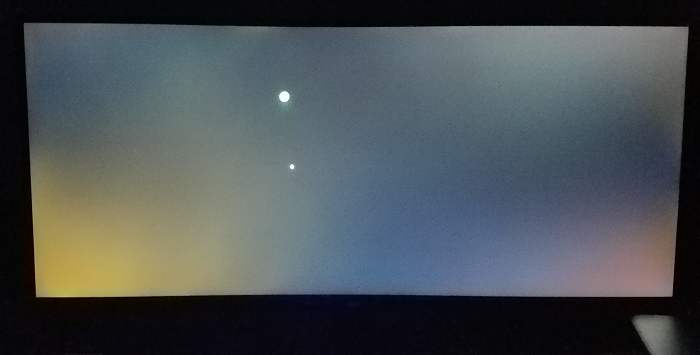 Backlight bleed is significantly smaller than on other ultrawides I had/saw, visible only in dark scenes in dark room and even then it won't be a deal breaker. 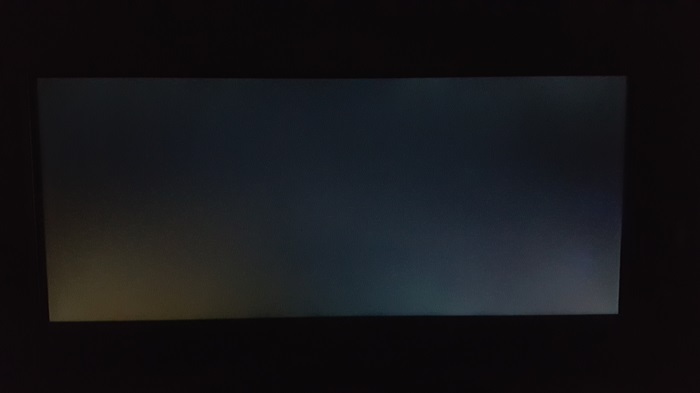 There is some blue bleed in left bottom corner and thats basically it, around other three corners there is a silverish shade known as IPS glow, you cannot avoid this effect on IPS monitor. I returned few 34" ultrawides before because of backlight bleed and this issue almost put me off from buying ultrawde, but 34UC98 is by far the best one in terms of backlight bleeding and this issue is almost completely removed for me with this monitor. Based on reports, UM88 seems to be much worse in terms of bleed than UC88/98. Personally I got somehow meaningful bleed only in left bottom corner (similar blue bleed to third user photo showed above, I wasn't able to catch it on photo because of my poor camera). However, I noticed that pushing bezel gently just next to bottom left corner fixes this bleed almost completely. So I pushed piece of thick paper in the corner between left bezel and bottom physical bezel and eliminated bleed in this corner almost completely. Now it is negligible like in 3 other corners by default. By default, both 34UC88 and 34UC98 feature 60 Hz refresh rate. However, both are featuring AMD FreeSync technology that allows panel to reach 75 Hz. After enabling FreeSync in monitor OSD, 75 Hz refresh rate appears in control panel. However, you can do this effectively only with AMD card, because even though it theoretically works with Nvidia cards, there is phenomenon called frame skipping that will cause all your system and monitoring tools report 75 Hz and FPS while you will see only 60 FPS effectively and those additional 15 frames are going to be skipped. Found something interesting today, i put my RX 480 in the free pcie slot below my GTX 1070. The Monitor now shows Freesync as active without frameskipping. The displayport cable is connected with the Nvidia card, the AMD card just acts as some kind of dongle. FreeSync itself is not working (tested with the Windmill demo). It's just a workaround for the 75hz firmware lock on Nvidia cards. FreeSync range is 55-75 Hz. This is a narrow and limiting range and probably the main complain with those two LG models. Personally I don't find FreeSync to be a game changer like a lot of people claim, in my opinion you have to have stable FPS at your monitor's refresh rate to avoid issues with smoothness and no FreeSync or G-sync will change it. FreeSync range on 34UM88 is 40-60 Hz, which is actually more sensible that 55-75 as you actually have FreeSync working when dropping to low FPS. If you find 55-75 Hz FreeSync range narrow and limiting, you can try FreeSync hack explained here: http://www.guru3d.com/news-story/owners-of-freesync-monitors-can-enlarge-hz-range-with-simple-hack.html for harder version, and here http://nils.schimmelmann.us/post/133778060542/modded-asus-mg279q-drivers-with-60-144-hz-freesync for easy one. 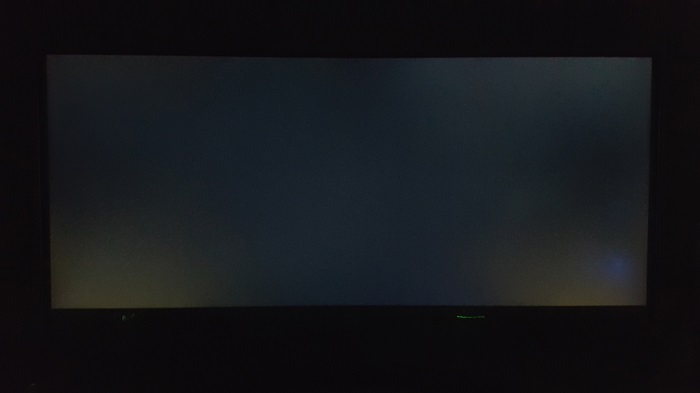 Typical scenario for changing FreeSync range is flickering and unstable brightness. There are some reports on successful FreeSync range hacks but take then with grain of salt and never take it as guarantee as it most likely won't work properly. All of three monitors appear to be firmware locked and cannot be overclocked. I tried to push my monitor beyond 60 Hz with 980 Ti or GTX 1080 and beyond 75 Hz with R9 390 and R9 Fury, nothing worked. Basically all reports about overclocking are mentioning frame skipping and being unable to overclock the display. There are some reports on successful overclocking, but just like with FreeSync range editing, take it with grain of salt as vast majority of confirmed reports are saying that you cannot overclock those displays. There are a lot of reports and complains about image retention on those displays. I am also experiencing this issue, however I think that it is a bit overblown. There is no way for this effect to occur during gaming or watching movies, the only place where it occurs for me is web browser. If you have the same site displayed for few minutes, for example watching youtube videos without fullscreen, it will occur and then it will be visible on grayish and blueish backgrounds for up to few minutes depending on how much it "burned-in". However what you have to consider here is that your alternative to this issue is extreme backlight bleed on other models with panels different than those from UC88/98. You just need to know your use case. 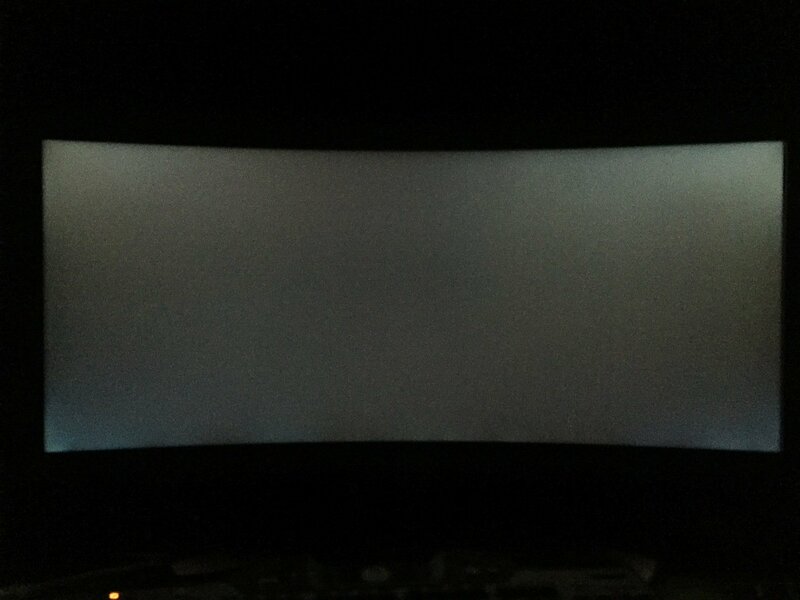 Backlight bleed affects gaming and watching movies very negatively while retention doesn't occur there. Retention on the other hand affects things like web browsing and maybe some programs depending on their characteristics (I didn't experience any retention in Premiere Pro). You can reduce retention by playing with Brightness and Contrast options in OSD. Reportedly Dell U3417W that is using the same panel as UC88/98 has not image retention, so check this one if you are worried about this issue. I am not going to review my monitor here, because my review is already available at Linus forum, where I made detailed comparison review with other ultrawides I had. I think it is safe to call 34UC88, 34UC98 and 34UM88 second generation of ultrawides. With all major issues figured out by LG those monitors present very high quality consistent for all units. At this point, looking at all the issues other models are having, I wouldn't recommend anything else for 34" 3440x1440 buyer. I have a great time with my 34UC98 and getting it after all of those faulty monitors I had to return was a huge relief, since I even thought about giving up on the 21:9 apect ratio and go back to 16:9. I am glad that I didn't have to do it thanks to this beautiful screen. Thanks for summing up all the videos and reviews in one place, it's convenient. I'll be getting the 34UC88 or the Acer XR342CK (same panel, coming soon) in the next few months. Would the curve be too much for doing graphic design / web design work? For example, can you tell whether two icons are horizontally aligned with each other, or does the curve confuse things? Its only matter of getting used to curve. 1900R curve seems perfect, it is aggressive but you can get use to it and you won't have any strait lines problem anymore. 1200R curve, something what Samsung wants to introduce now, seem to be too aggressive and you may not be able to get use to it, but 1900R seem like sweetspot. Have u done graphics work on this? Illustrator vector drawings? DO straight lines and circles in Illustrator look warped?? I love this monitor, except for one problem: temporary image burn in. If you have any white background images on the screen for a few minutes and then switch to a grey screen or similar in another program, you will see a ghost image of your previous screen. It will fade out within a few minutes but it still annoys me considering the price of this monitor. You wont see it under any other condition, but I happen to switch between two such programs often (browser and another app) so I see it. It is the best option out right now in my opinion and I have mine overclocked to 80hz and I am using 2 GTX 970's, so low end framerate isn't a problem at this resolution. I wish it were G-sync, but the price premium for it is too high and the monitors too faulty for what is available right now. I came from a 4K G-sync, where it was necessary. Yea my unit also have this issue. Its rather negligible compared to other issues you get on ultrawide and gaming monitors today, and it disappears quickly, but still shouldn't happen. Anyone know how this issue is called? I want to add it to my review on Linus forum but I don't know how to name it. 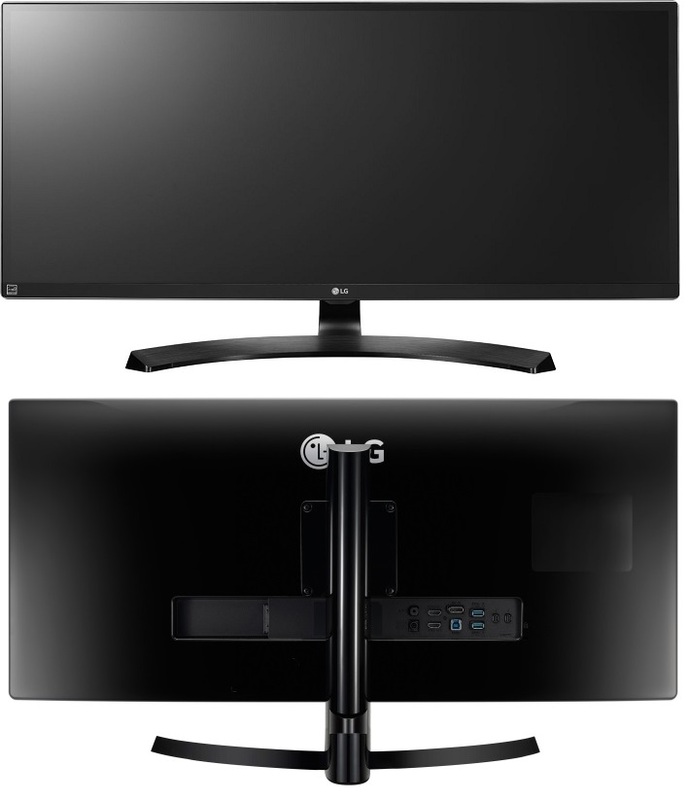 * Note the ASUS and ACER monitors you mentioned are actually GSync, though earlier in that same paragraph you said there were no GSync counterparts to this monitor (I think they may even utilize the same panel as this LG monitor, but I am not certain). You should also probably list what's wrong or provide links as many are happy with those monitors despite the cost premium because of GSync. * ACER has a FreeSync version of this monitor that supports down to 48Hz in FreeSync mode of the box (Acer XR341CK), and is actually slightly cheaper (at least in the US) than the LG version. Edit: Judging by the curve, I don't think they are the same panels. Looks like the Acer XR342CK uses the same curve, so that may be the same panel as this one when it comes out. * ACER has a FreeSync version of this monitor that supports down to 48Hz in FreeSync mode of the box (Acer XR341CK), and is actually slightly cheaper (at least in the US) than the:thumb: LG version. I said there is no G-sync version of 34UC88/98, no G-sync ultrawide from LG, not on the market overall. I also wasn't referring to any competition for those monitors, I just said that those LGs are some alternative on 3440x1440 ultrawides market to faulty gaming screens, if someone want to get quality screen instead of faulty gaming garbage that he will have to return and exchange 10 times to get somehow acceptable unit. I said there is no G-sync version of 34UC88/98, no G-sync ultrawide from LG, not on the market overall. I also wasn't referring to any competition for those monitors, I just said that there is no G-sync version from LG. And no gaming garbage with zero quality control and tons of issues is competition to quality monitors like this anyway. What you said and what you meant to say are two different things. If you aren't explicit, you can't expect people to know what you mean - especially if you imply there is no GSync option, and then list two GSync options. You don't have to like my comment; do with it what you will. I'm only attempting to clarify what is ambiguous. No offense intended. You still didn't explain what was wrong with the competition options in this post, either. You don't have to, obviously, but if this is to be a club where people find information, it may be prudent to give said information or at least link to where it can be found if you are going to bother mentioning it in the post to begin with. Sorry if I misunderstood your intentions with your wording. I'm looking at this monitor myself, though leaning towards the Acer XR341CK because of the better FreeSync support range. However, if a newer version of that monitor is going to come out, I may have to wait and see. The Acer monitor I mentioned in the previous post has a longer warranty and better tested contrast ratio per TFTCentral if that interests you.